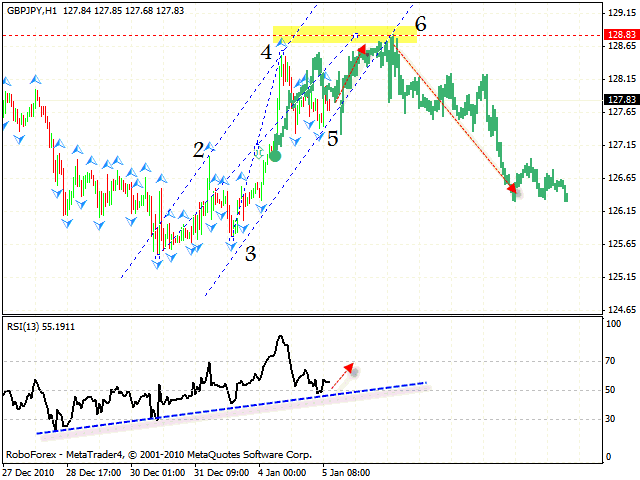 HomeFor ClientsAnalyticsForex Analysis & ForecastsForex Technical analysis and forecastsForex Technical Analysis 2011/01/05. EUR/USD,GBP/USD, USD/CHF, USD/CAD, NZD/USD, GBP/JPY Forecast FX. Forex Technical Analysis 2011/01/05. EUR/USD,GBP/USD, USD/CHF, USD/CAD, NZD/USD, GBP/JPY Forecast FX. 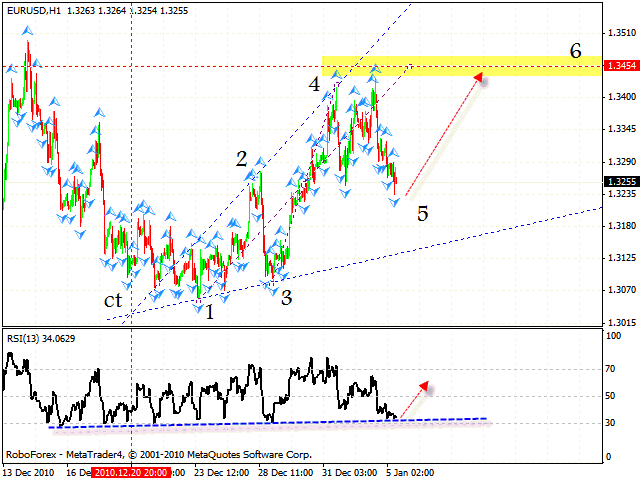 Despite the correction of the EUR/USD currency pair, it still has a potential to grow into the area of 1.3454. 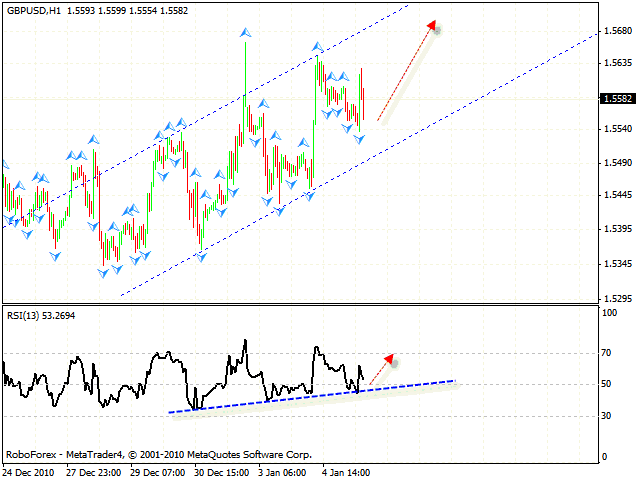 According to the eurusd forecast the RSI is testing the trend’s rising line, we should expect the pair to go up. One can consider buying the pair with the tight stop. Don’t forget to move stops into the black as soon as possible. 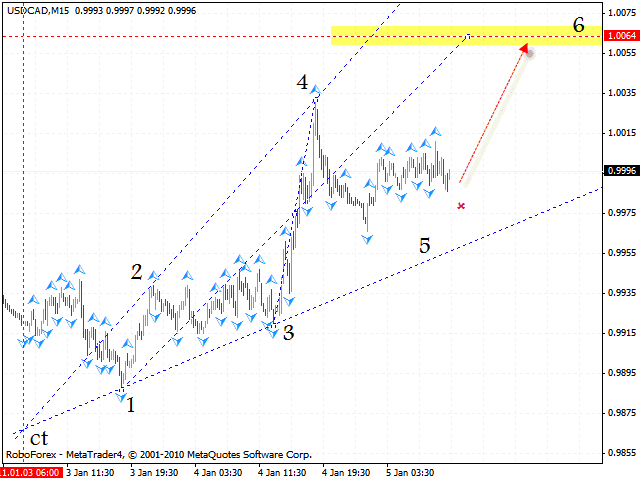 Pound is moving as a rising channel, one should consider selling the pair in order to update local maximums. As it is seen from the gbpusd forecast the RSI is supported by the trend’s rising line, which is one more signal to buy the pair. The USD/CHF currency pair was corrected a bit higher than expected. 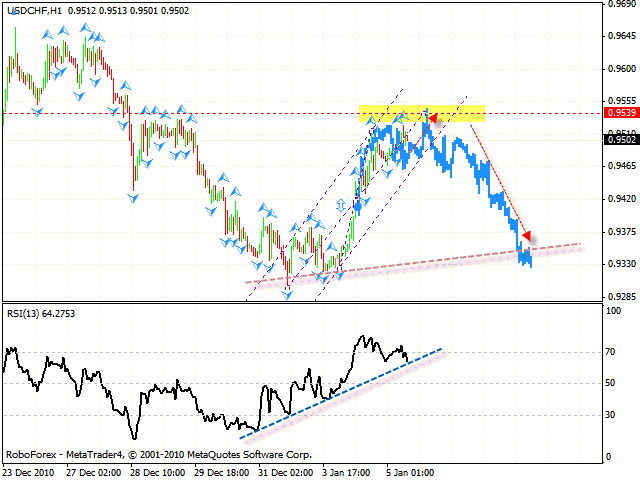 At the moment we can see the formation of the rising pattern with the target in the area of 0.9539. If the price leaves the channel one should consider selling the pair. According to the technical analysis usd chf the closest target of the fall is the test of the trend line at the price chart. The stop must be behind local maximum. At the daily chart Canadian Dollar has already broken the “triangle” downwards and returned to the broken side of the pattern. The M15 chart indicates a possible growth of the USD/CAD currency pair into the area of 1.0064. 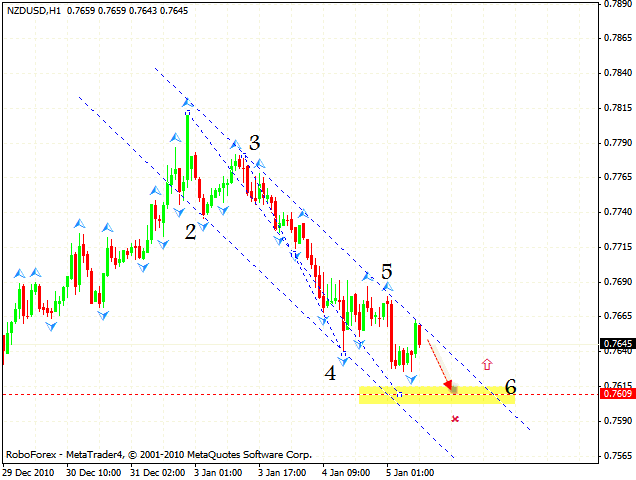 Judging by the usd cad analysis after the rising pattern is completely formed, one should try to sell the pair. As it is seen from the nzdusd forecast the price structure indicates that the pair is testing the area of 0.7609. After the price leaves the descending channel one should consider buying the pair with the stop behind the closest minimum. Here we can see the formation of the descending pattern with the target in the area of 124.28. According to the gbp jpy analysis we should expect the price to move to the level of 129.20, where we can try to sell the GBP/JPY currency pair. If the price breaks and moves outside the channel, this case scenario will be cancelled. At the hourly online forex trading chart we have the target in the area of 128.83. 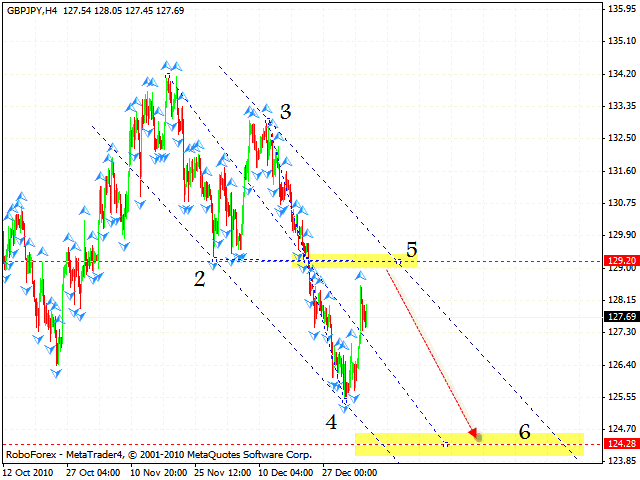 After the price reaches the target and breaks the rising channel one can consider selling the pair.